When it comes to restoring a PC and installing an operating system, we may want to eliminate certain elements of the operating system to be installed, like the browser or the multimedia player, as well as adding all the basic updates or integrating the drivers into the installation. 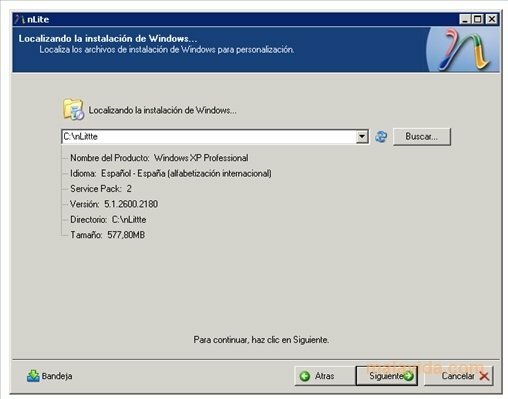 To perform this process it is necessary to have an application like nLite, that has a totally guided step-by-step process, that will allow us in a matter of minutes to prepare a customized ISO image with an installation of 32 and 64-bit Windows 2000, XP or 2003. 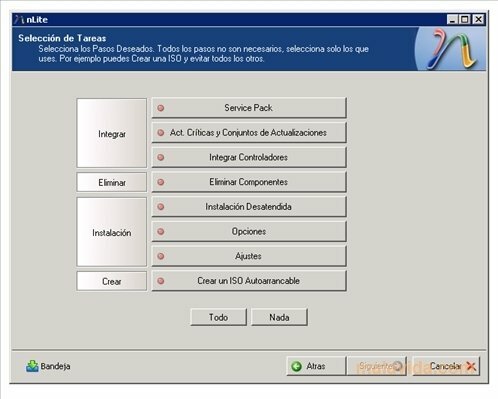 It's only necessary to tell the program where it can find each of the files that we want to add, as well as eliminating from the original Windows installation those elements that we don't want to be copied to our computer. nLite also allows us to adapt the ISO image so that the installation is unattended, this means that it isn't necessary to configure anything (serial, regional and network configuration, components,...) once the restore process has finished. Only works on Windows XP.